These ingenious tricks will help you crush it in the kitchen. 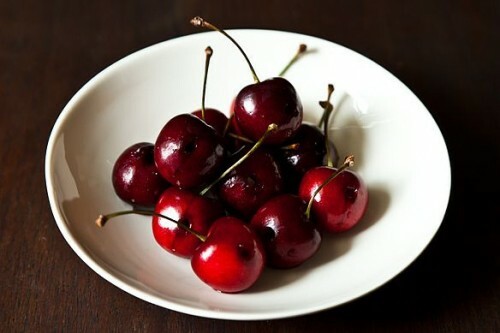 If you’re in the kitchen and run into a roadblock—the onions are making your eyes water, or those cherry tomatoes are mad hard to slice in half—chances are thousands of cooks have experienced the same frustration before. And, more often than not, some smart person figured out a workaround that will not only make your life easier, but also make you look like a pro when you pull off some ace culinary trick in front of your friends. For indispensable kitchen hacks, we always look to the crew at Food52. 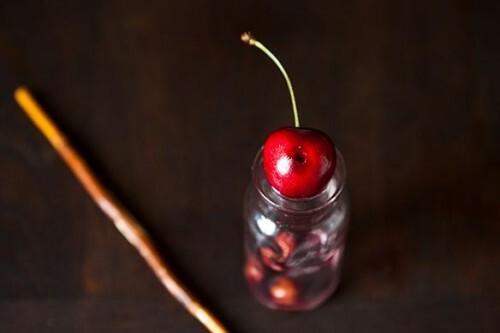 Here, they break down awesome tips for saving your unfinished wine, pitting cherries like a legend, and more. Saving leftover wine is risky business. It never tastes quite the same, even if you use one of those fancy air-vacuum pumps. Sure, you can just put the cork back on and stick the bottle in the fridge, but that only keeps the wine drinkable for another day or so. We'll admit that bottles don't usually go unfinished around here, but in the rare instance that we've got leftover wine on hand, we want to be able to keep it for a few days—and we want it to still taste good. Below, Food52 co-founder Amanda Hesser shares a gadget-free trick she learned from Moore Brothers Wine Company for saving leftover wine that meets our demands. Video shot by Alex Lisowski, and edited by Kyle Orosz. What do you do when you want to make a tart but don't have the right pan on hand? Decide to make something else? Wrong answer! Amanda's got a handy trick for using a rimmed baking sheet to hack a tart pan. Because no one should ever have to go without a tart. For those of you brave enough to keep the grill going all winter, here's a tip that will carry you well beyond the Fourth of July: how to clean your grill, using things you already have lying around. 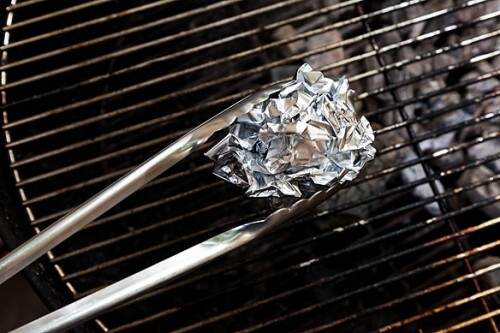 All you'll need for this quick hack is a piece of aluminum foil and a pair of tongs. Oh, plus your dirty grill grate and a little bit of elbow grease. 1. First, cut a length of aluminum foil about the size pictured here—or, the width of your grill is a good rule of thumb. 2. Once you have your aluminum foil, crumple it into a ball. This will be your main tool, and the bearer of all grill-cleaning magic. 3. 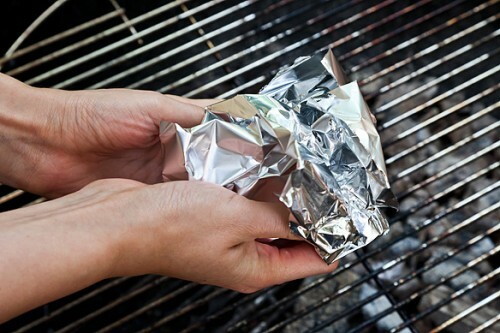 Position your magical aluminum foil ball snugly in your tongs, and then, with determination and your Olympic strength, use it to scrub the surface of the grill rack. (Hint: this method works even better when the grill is still warm.) 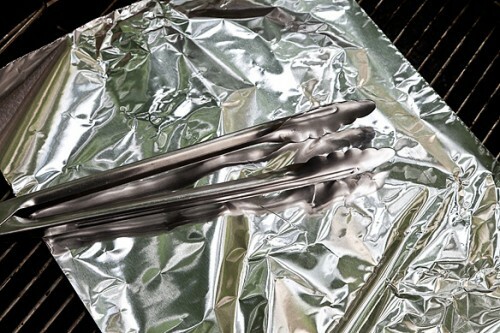 The foil will remove all of your stickiest grilling bits in a matter of seconds. And there you have it! Now your grill is good as new. 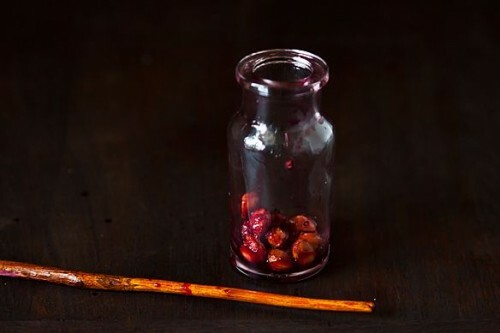 All manner of cherry baked goods are great if you happen to have a cherry pitter, but if you don't, you're in for a bit of work (not to mention stained hands). 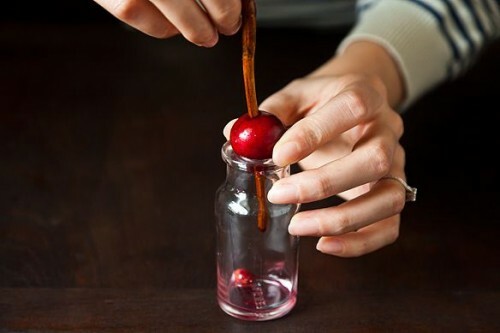 Forget single-purpose kitchen tools—if you've got an empty beer bottle and a chop stick, you can pit a cherry. All you need is an empty bottle with a small mouth. A beer bottle is perfect—we're just using this little cutie because, well, it's cute. 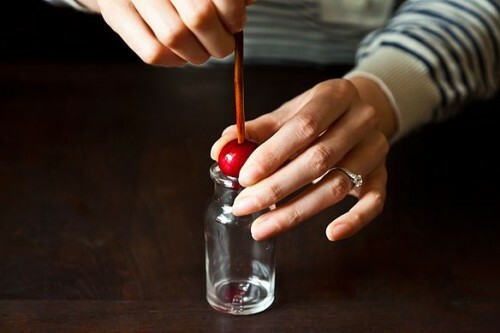 Gently hold the cherry and press the chop stick through it to push the pit out the other side. Bullseye. The bottle collects the pits, keeping the whole process nice and neat. And there you have it. Who needs a cherry pitter anyway?